When comparing mats and pricing, be sure you are comparing like products. Some mats are made from mixed hardwoods. Other mats are made from all oak. There are many species that are considered hardwood like gum and poplar that are fused with oak. All oak timber mats tend to last longer, but there are applications where a mixed hardwood mat would work just fine. We supply mats both all oak and mixed hardwood mats to accommodate the customers needs. 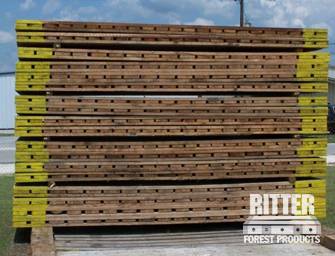 Ritter has many sizes available and can even make custom mats. 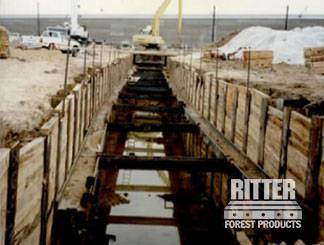 Our timber mats are perfect for highway and bridge contractors, dragline excavator companies, oil field services, pipeline work and maintenance and utility line maintenance, etc. If you are in need of a solid foundation, we have got a mat for you. 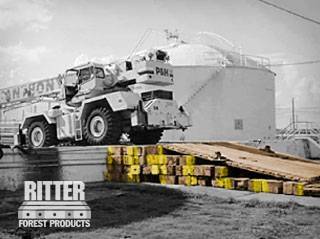 Crane mats are used in a variety of construction projects including pipelines, bridges, utility right of ways and many more. 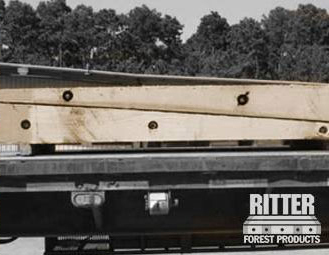 With quality hardwood mats from Ritter, you can stabilize soft, watery surfaces or muddy grounds at your work-site for all of your cranes, excavators, and heavy machinery and equipment. Crane mats can range in size at types. See for yourself.